One of the classics of Bamanée revisited in long and oversized version! This beautiful kimono jacket made by hand with great care goes on all occasions, urban and at the beach. The high life print is an ode to joy and celebration. He refers to a ghanan musical genre of the 1920s of the same name that mixes African music with Western influences. High life then evolved into the afrobeat. We brought the greatest attention to all steps of this socially responsible creation, the choice of a wax finish of the garment quality. 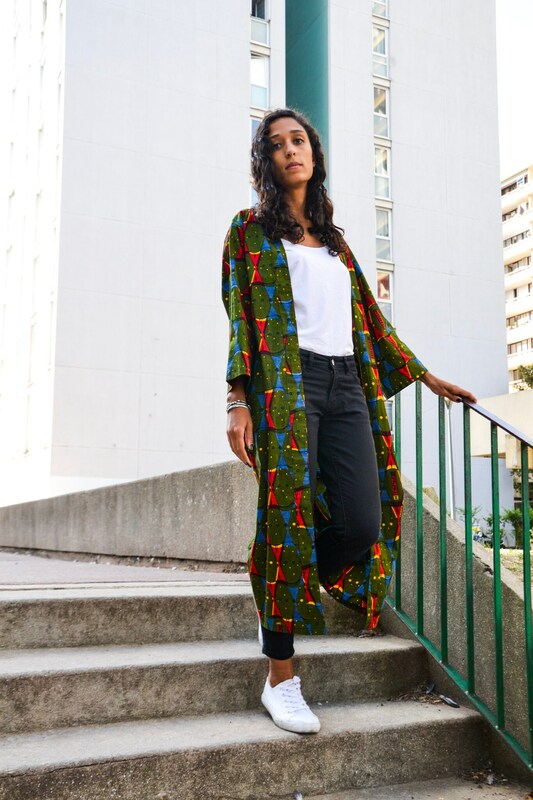 This kimono jacket is made in Senegal from local and artisanal way in respect for everyone. Please note that, on some prints, small shifts of print may appear in the "wax" which is handmade according to the printing process. You can try out our creations Bamanee offices in Paris. For this, please send us a message. This is one of Bamanee's classics revisited in a long and oversized version! This high life print (i.e. the good life) is a hymn to joy and celebrations. This print was inspired from a 1920 's Ghanaian music genre of the same name incorporaring Western influences and preluding afrobeat. This beautiful kimono jacket was carefully handmade and can be worn for every occasion, the city or at the beach. 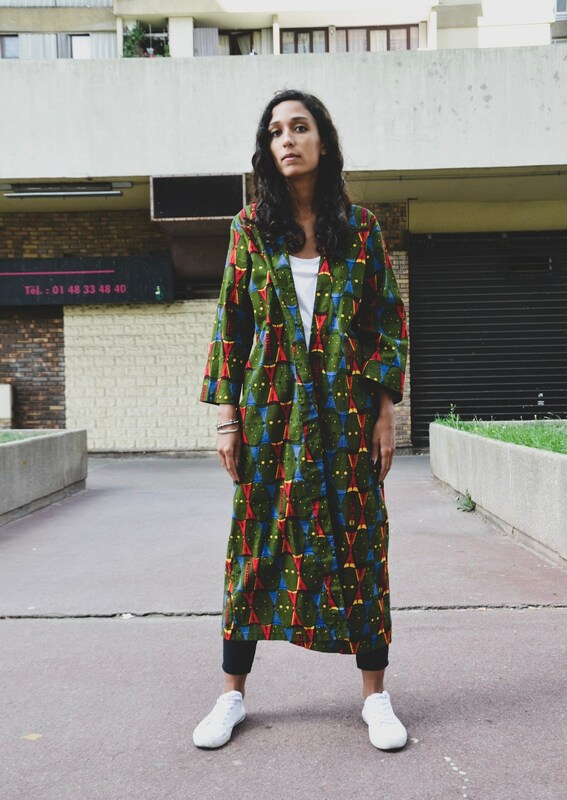 We have our utmost attention paid to the creation of this beautiful piece, from the selection of the wax fabric in Dakar markets to the sewing of the kimono. 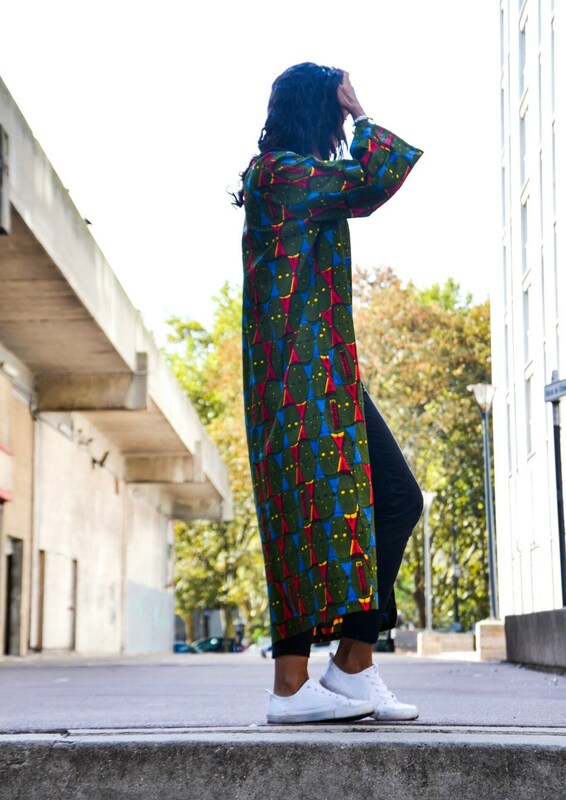 This creation is locally handmade in Senegal in a socially responsible way. Please note that small mismatches of print may appear on some fabrics, in accordance with the wax artisan printing technique.